Rocketmine makes history with first ROC in Ghana! 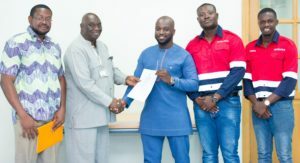 Rocketmine, a subsidiary of the listed Delta Drone Group (EPA:ALDR), received the first commercial Remotely Piloted Aircraft System (RPAS) Operating Certificate (ROC) in the Republic of Ghana; making it the first company to do so in both the northern and southern hemisphere. 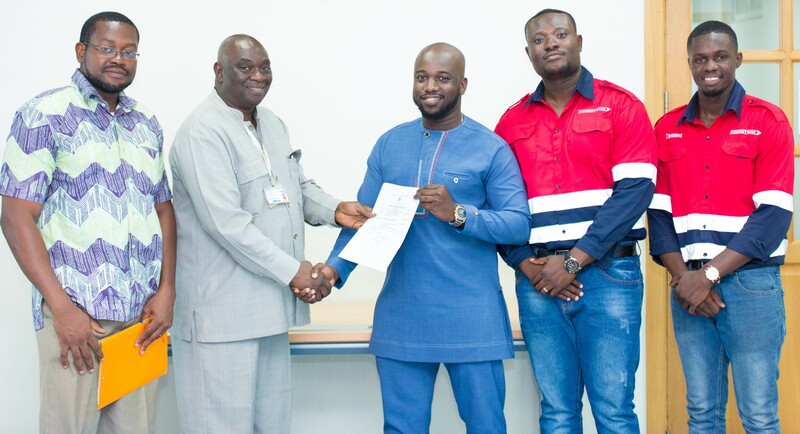 With the support and guidance of the Ghana Civil Aviation Authority (GCAA), Rocketmine initiated the process of applying for a ROC in April 2017, which also involved the licensing of its local operations staff, who have now also become the first licensed commercial drone pilots in the country. Rocketmine provides daily survey, volumetric and mapping services to some of biggest mining operations across the continent, and decided to expand its operations into Ghana in April 2017, to take advantage of the stabilising mining industry. “We’ve been waiting for this moment, as we have officially made history as a company. We are also thrilled to share the exciting news that our pilots are Ghana’s first licensed drone operators. They received their RPLs at the beginning of September 2017,” states Kwamena Hazel, Rocketmine’s Country Manager. About Rocketmine: Rocketmine is Africa’s leading premier drone data service provider. Fully licensed by the Civil Aviation Authority (CAA) to provide professional and cost-effective services; while focusing on delivering, safe, reliable, and accurate data to clients. Rocketmine provides customized drone data solutions to improve operational efficiencies and systems. Clients trust Rocketmine’s experience and expertise with over 5 000+ flight hours in multiple sectors and owning the largest fleet in Africa. Rocketmine is a Delta Drone company.